Over the last year , Intel has been slowly setting up its base on the Mobile space . In the last quarter , a lot of Intel powered smartphones have shown up and nevertheless, Intel has been receiving a cold response due to its rivals . The Lava Xolo was a hit due to Intel’s marketing strategy . 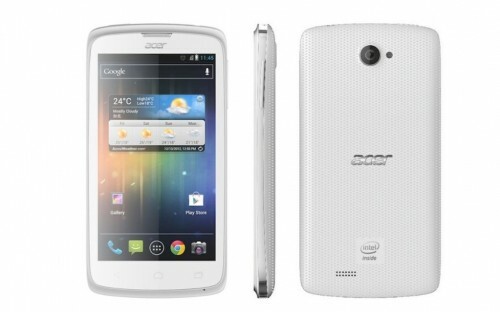 Now , Intel has paired up with Acer to unveil the Acer Liquid C1 . The Acer Liquid C1 has a bar form factor of dimensions 127.3 x 65.5 x 10 mm with a not-so-sleek design and a 4.3 inch display buried inside . The IPS LCD display produces a resolution of 540 x 960 pixels with a pixel density of 256 ppi . The display of this phone is definitely not a striking feature. 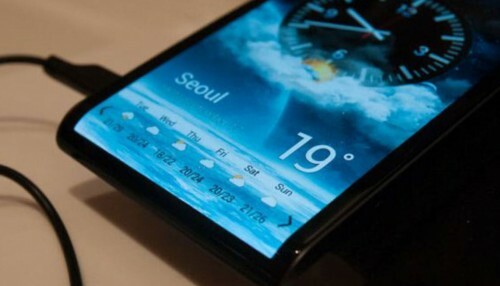 The phone runs the Android IceCream sandwich and sadly din’t get to taste the Jelly bean . 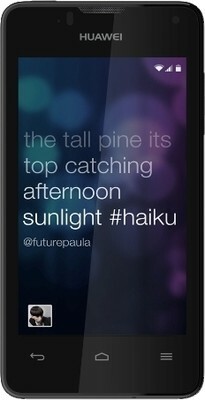 The Jelly Bean update is on its way . The phone has an Intel Atom Z2420 (codenamedLexington) processor packed deep inside , which provides the power to accomplish multitasking at ease . The Dual core processor manages to clock at of 1.2 Ghz . Graphics and video are handled by the PowerVR SGX540 GPU which does a decent job . The phone has 16GB onboard memory with 4GB of RAM .I’m sure games like Temple Run will run without any lags as the phone provides ample resources to handle such heavy processor intesive tasks . The phone houses a standard 8 MP auto focus camera with LED flash for low light photography . The images captured are decent with a resolution of 3264 x 2448 pixels . The phone falls short when it comes to camera . The Liquid c1’s rivals – the Galaxy S3 and Lumia 920, both have a stupendous camera which captures high quality images.A VGA camera serves the purpose of a secondary camera .The connectivity options include HSDPA , WiFi (a/g/b/n) , Bluetooth 2.1 (sadly no 4) and micro USB . Its again a sad fact that the Bluetooth technology used in this phone is the old 2.1 while most manufactures have started using the latest Bluetooth 4 A2DP technology .Battery backup is provided by the standard Li-Ion 2000 mAh battery . The battery has enough juice to last a day and provides 9hrs talktime .Although most phones stay alive for 2 days with a 1800 mAh battery , the Liquid C1 fails to withstand more than a day because of its Intel chip which draws a huge amount of power from the battery . The news about the phone has just surfaced and Acer hasn’t disclosed anything about the pricing and availablity yet. We expect it to hit the stores in mid April. The cost is really a determining factor for the succes of this phone . This phone is definitely not for those who expect the latest technologies to be present on their phone . Acer has miserably failed to adopt newer technologies and this is gonna cost them real bucks . Overall , the phone offers a decent package . The Intel processor is one feature in this phone to look out for .